Nutritional modification is an approach to augment protection of the brain from psychiatric disease that is both inexpensive and with fewer side-effects than most psychoactive drugs. Two factors derived from nutritional sources that regulate gene transcription via nuclear receptors are thyroid hormone and vitamin D. Both of these factors thus lie at a nexus of environmental and genetic regulation of gene expression. Changes in both pathways have been associated with schizophrenia and depression but unlike dietary supplements such as omega-3 fatty acids, their mode of signalling is well understood. This chapter details the association of thyroid hormone and vitamin D with these psychiatric disorders. Likely targets for these two nuclear receptor regulators include the dopamine receptors, serotonergic pathways, hippocampal neurogenesis as well as components of the developing brain. The association of the nuclear receptor signalling pathways with several diseases suggests that they are less likely to be responsible for the unique features of each disease but are involved in aspects common to the disorders, as has been proposed for genes such as DISC1. 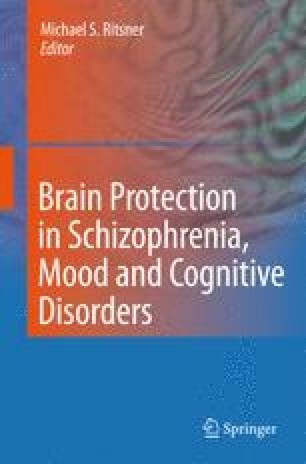 An imbalance in the thyroid hormone and vitamin D pathways may contribute to depression and schizophrenia and restoration of homeostasis may provide a route by which the brain may be protected. We would like to thank Dr. Michelle Lane for her reading of the text and excellent suggestions as well as thanking Jemma Ransom for her reading of the section on schizophrenia.